If you live by a Cafe Rio, then you will already know what I am talking about. If you do not live by a Cafe Rio (I am so sorry), I am telling you, it is my all-time favorite Mexican food place EVER. I can eat it, eat it and eat it some more! One of the things I had never tried was their tortilla soup. I was told so many times how good it is, but in my mind, I am thinking a brothy soup vs. a tostada? Huh? Tough choice - NOT - I am getting a tostada. A brothy soup just didn't sound appealing to me. I finally decided to get the soup one afternoon. OMG! Let's just say, I am OBSESSED now. Why did I ever doubt that I wouldn't absolutely love this soup? It is not JUST a brothy soup. It is loaded with hearty ingredients and packed with an amazing flavor. It leaves you feeling full and satisfied and thinking about the next time you are going to eat it. It is so good that it doesn't matter if it's the middle of July and 100 degrees outside, you WILL still want this soup. Of course, I had to search for a copycat recipe. I found quite a few, but this one sounded most promising. There are a lot of steps involved. None of them are hard, but it will take some time. It turned out great. There are a few differences, but overall I thought it was a pretty good copycat recipe. The broth was not quite as flavorful as Cafe Rio's and next time I will up the spices. Also, Cafe Rio's seemed to have more corn flavor. Some of the copycat recipes I found said to add torn up corn tortillas to the broth and cook it long enough so they disintegrate. Maybe that is something to try next time? 7. Garnish with crunchy corn strips, cilantro and lime wedges. DO NOT skip the crunchy corn chips on top. They soak into the broth and when they soften, they are almost like noodles. Oh my gosh - so good. 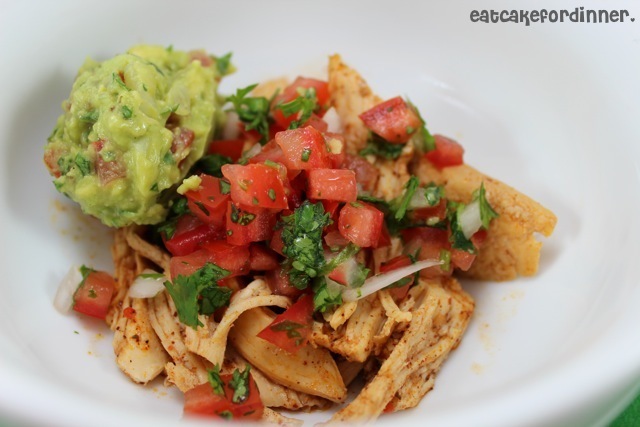 If you don't want to deal with making your own tortilla strips, you could always try using store-bought, corn flavored, tortilla chips. Just make sure to add some kind of crunchy corn flavored goodness. Serve with a flour tortilla on the side for dipping. Make sure you already have your chicken cooking. In a small skillet, saute onion and carrots in 1 Tablespoon oil until slightly tender. Stir in cumin, cayenne and chili powder and saute an additional minute or two. Transfer seasoned vegetables to a small-medium crockpot (or medium-sized saucepan). Add chicken broth, cilantro, lime juice and pepper. Cook on low (or simmer on stove) for at least 2-3 hours. 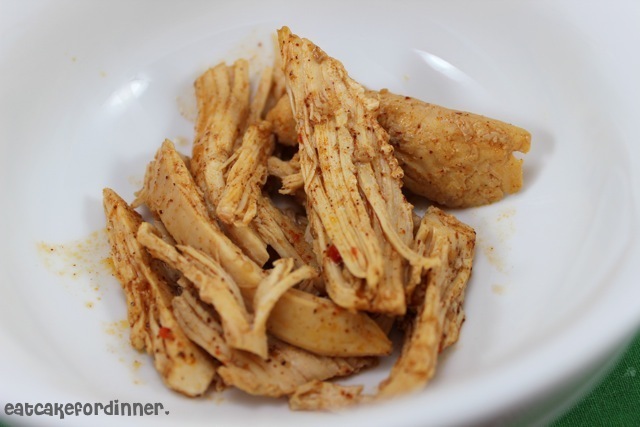 Place chicken breasts in crockpot. Combine remaining ingredients and pour over chicken. Cover and cook on low until chicken is done, about 4-6 hours. Shred chicken in whatever sauce is remaining. (You could always cook this in the oven if you need it to be done sooner). I chopped up a few tomatoes, added slightly less onion and some cilantro. I figured the measurements didn't matter that much, since you will be adding it to the soup and it will mix with all the other ingredients. 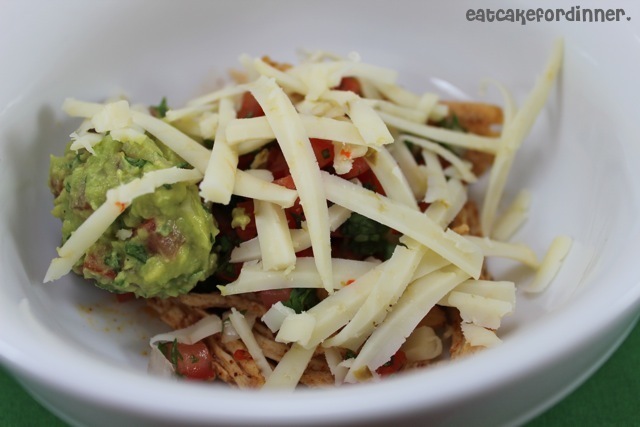 Mash up avocado and stir in a few Tablespoons of the pico de gallo. Season with a little salt and pepper. 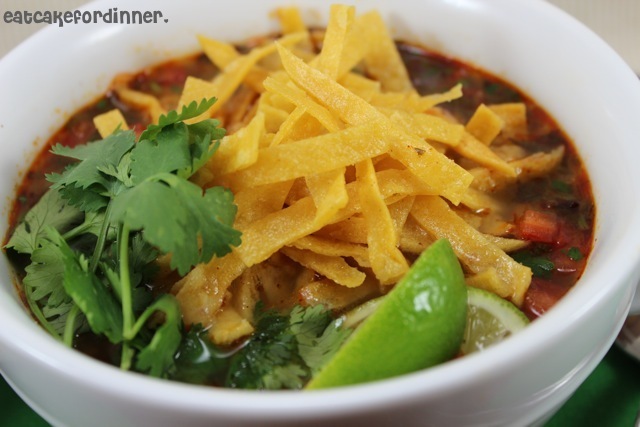 **If you don't want to deal with frying tortilla strips, you could try using store-bought corn tortilla chips and crush those up in the soup. I like the crunchy strips, because they soften and end up tasting like noodles, but using store-bought chips would save a lot of time and effort. Add enough oil to a medium-sized saucepan to go about 2-3 inches up the side of the pan. Heat over medium-high heat. Carefully add some of the tortilla strips to the hot oil and fry until crisp, this will only take a few minutes per batch. Using tongs, carefully remove to a paper-towel lined plate and season with salt. Repeat with remaining strips. Make sure you fry the strips in a few different batches, so they will cook right. Jenn's Notes: Make sure to taste the broth before serving and adjust the seasonings to your desired taste. This looks so yummy! 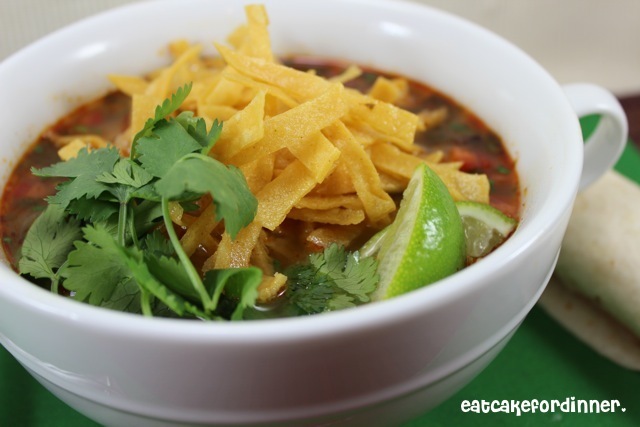 I just love tortilla soup. Please stop by and link up at our Wednesday LINKY party! It is really growing fast. i am, mostly, a rather incompetent cook, but, i think i could actually get this one! and i love anything involving pico or guacamole or corn chips. yum. 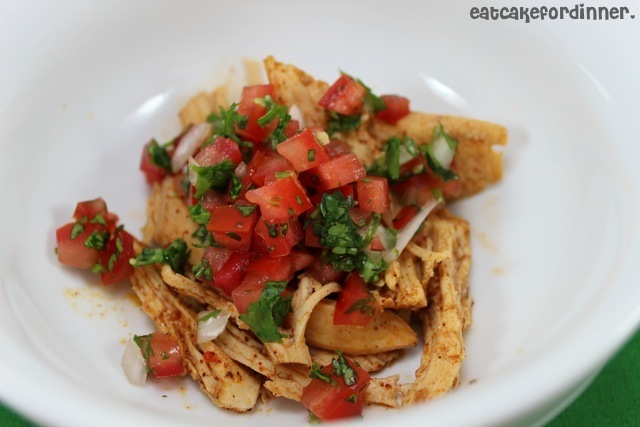 i have a soft spot for xochitl chips, and they would be delicious on top of this! Thanks for the Cafe Rio Love! That's fantastic, and really, do we have anything that isn't good? Just saying. 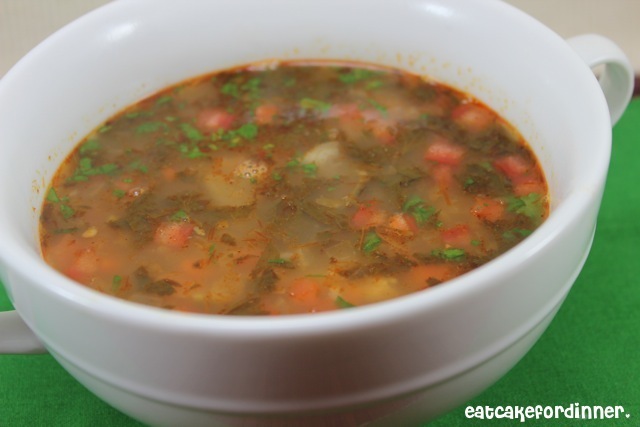 I don't live near a Cafe Rio but I think I am going to be obsessed with this soup anyway! This sounds absolutely delicious! I have never been to Cafe Rio but I am positive I would love it after reading this. Although this soup does seem to have a bunch of steps, it sounds right up my alley! Look forward to trying one chilly weekend :D Pinned and will be following your blog! Thanks for sharing!! It looks sooo delicious! Soup is the perfect lunch/dinner now in Sweden when its getting colder...Cheers! Wow, there are SO many amazing looking recipes on here! I can't wait to give them a try!